Bjornsson lifts an ungodly amount of weight in Manila on Saturday. Hafþór Júlíus Björnsson, the 29-year-old Icelandic actor/professional bodybuilder who plays mute wall of muscle Ser Gregor “The Mountain” Clegane on Game Of Thrones, has never been the kind of guy you want to pick a fight with at a bar. Now, though, he’s got a title to match his 6'9", 400-pound physique: The World’s Strongest Man. 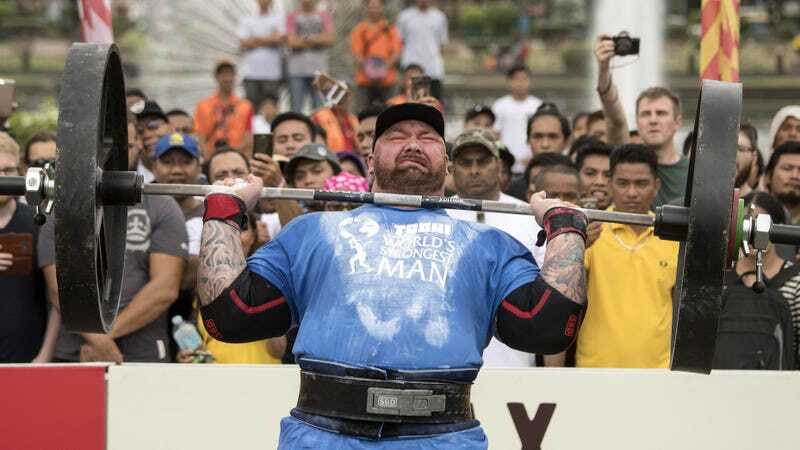 The World’s Strongest Man competition will air on CBS in June, according to The New York Times.